The Alley, a new multi-purpose collaborative space on the basement floor of Lowry Student Center, has officially opened for student use. The previous home of Scot Lanes is unrecognizable as students begin to populate the space to study, attend board game nights, movie showings, student trainings or to just hang out. Four rooms for group studying, club meetings and other smaller groups or organizations to gather make up the left wall. The two printers previously found in the Wired Scot have been upgraded and placed at the end of the hall. On the right side, a larger room serves as the new hub of activity in The Alley. With plenty of rolling chairs and tables, the room can be turned from a theater to discussion circle to a stage or dance floor with ease. To top it all off, the room also has free arcade games. By presenting their C.O.W. card to the Post Office and Information Desk, students can rent equipment for the air hockey, darts, pinball, skeeball, Pac-Man, arcade legends, shuffleboard and foosball machines. The versatility of the space was intentional, according to Julia Zimmer, the director of Lowry Center and student activities. She explained that the College wanted to create a place for all students to be able to collaborate in both academic and fun settings. The Campus Life Office worked with students throughout the design process of the student-oriented space. 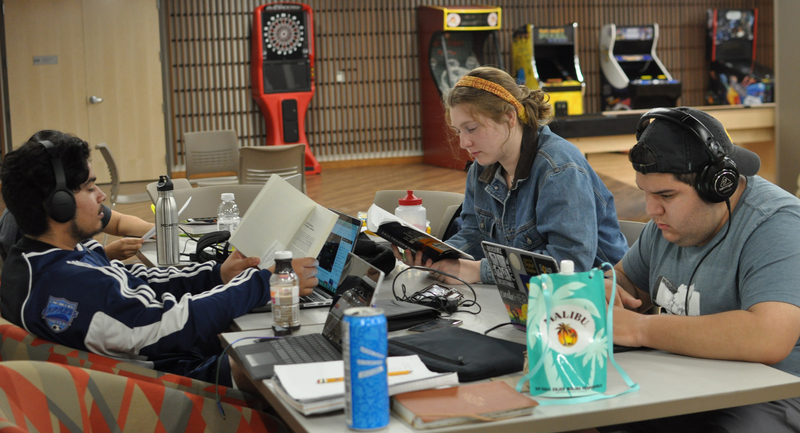 Besides meeting with clubs and organizations, “I spoke with numerous students one on one to get their thoughts and feelings about the space and ideas for it,” said Zimmer. Students even voted on the name in an email poll sent by the Student Government Association on Aug. 14. While the heart of Wooster still yearns for the late Scot Lanes, students seem to be excited for the change. Nela Aluwihare ’20, explained that although she adored Scot Lanes, she’s excited to see how the new space is used. “I think that we are making better use of the space now. It’s more pragmatic,” Aluwihare said. “Overall, it was definitely an improvement and will get much more use than Scot Lanes,” he concluded.